The Bugatti Brescia was the marque’s first true road car. It was introduced as the Type 13 in 1910. More “Types” would follow, such as the Type 15, 17, 22, and 23. Production of the Brescia lasted through 1926 and their racing counterparts scored victories across Europe, lending some real credibility to the Bugatti brand. The little-seen Type 27 was a development of the Types 22 and 23 (which different only slightly from earlier cars). The engine in the Type 27 is a 1.5-liter straight-four making 50 horsepower. The sporty Torpedo coachwork is thought to be the work of coachbuilders Lavocat et Marsaud. This example had eight owners in its first three years! In the 1930s, it is said that it was used as a getaway car for robberies in Paris. Most of its ownership history is known and the famous automotive hoarders known as the Schlumpf brothers attempted to purchase this car in 1959. Luckily for enthusiasts everywhere, they were rebuffed. This car was mechanically restored in 2006 and is ready to drive. It should bring between $410,000-$580,000. Click here for more info and here for more from this sale. 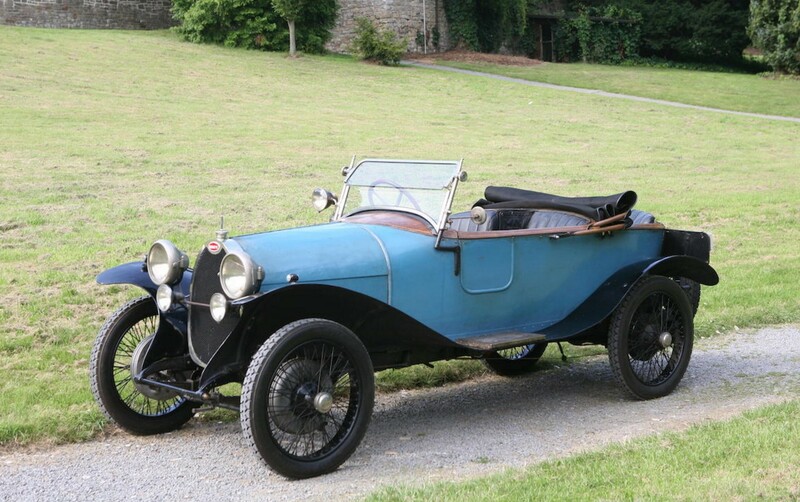 This entry was posted in Uncategorized and tagged 1923, auctions, Bonhams, brescia, bugatti, cars, classic cars, torpedo, type 27 by classiccarweekly. Bookmark the permalink.